In our first coverage of the three new model, we told you about the vintage Ingenieur ref. 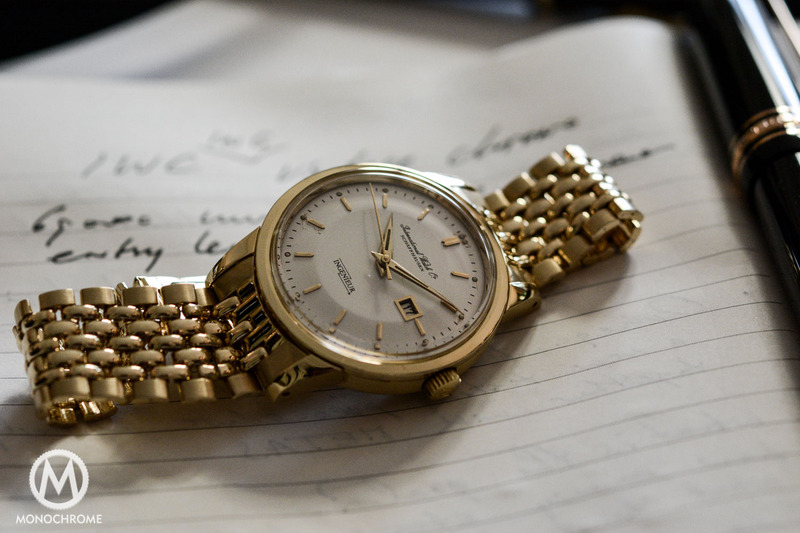 666 that has certainly inspired IWC’s creative director, Christiaan Knoop, and about Albert Pellaton and the unique Pellaton winding system that he developed and that was used in many IWC in-house movements ever since. Certainly we also shed some light on the newly developed movement, calibre 69370, the first of the 69000 family of movements. Later we let the brand’s CEO, George Kern, aforementioned creative director Christiaan Knoop, and head of R&D Stephan Ihnen, talk about the new Ingenieur Chronograph models and the 69000 family of movements (see here). Focus point for today: simply… we go hands-on with the three new watches and will show you how they look on the wrist, show some design details and tell you how it wears on the wrist. The new Ingenieur Chronograph is launched in three iterations: titanium with a silver/white dial, stainless steel with an ardoise/grey dial, and 18K red gold with a black dial. The silver/white dial is dubbed Edition “W 125” is a tribute to the Mercedes-Benz W 125 racing car, and if you’re unfamiliar with this name than I’m sure that its nickname, Silver Arrow, rings a bell. 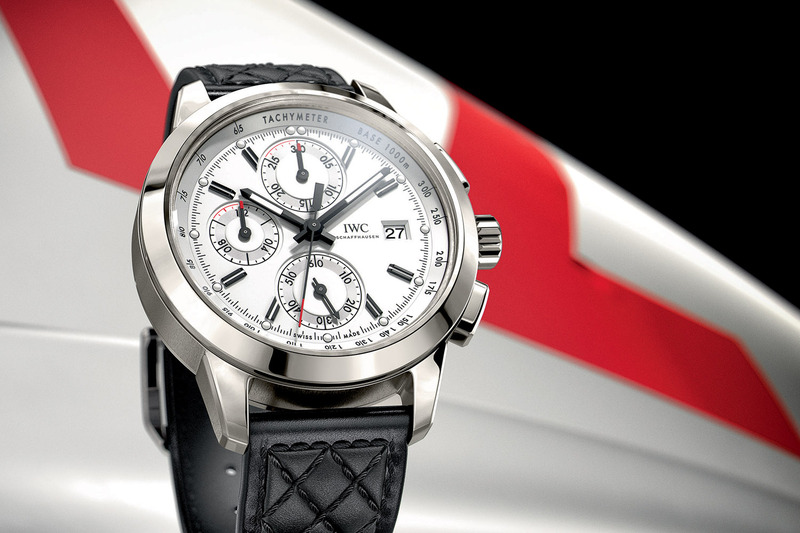 This edition is limited to 750 pieces, just like the stainless steel version with ardoise dial. This version receives its name from the driver, Rudolf Caracciola, who won the 1937 European Championship in the W 125, and is named Edition “Rudolf Caracciola”. 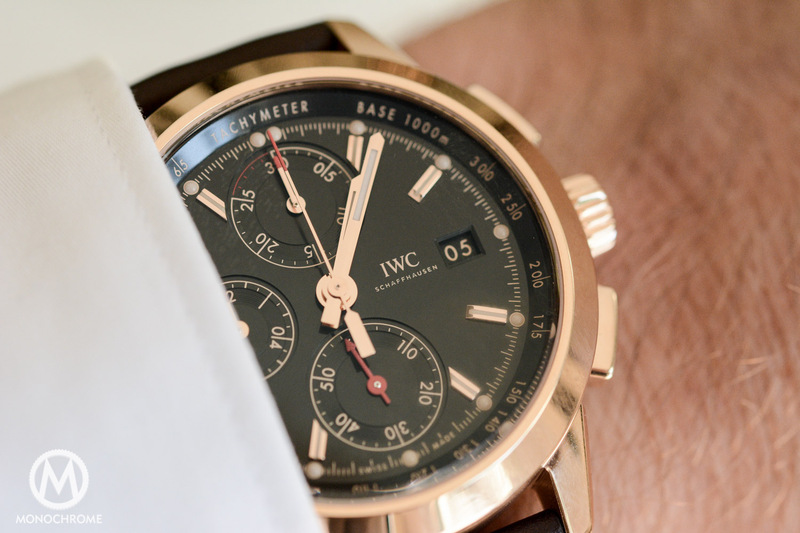 The red gold edition is limited to 74 pieces and this reference (IW380703) is dubbed Ingenieur Chronograph Edition “74th Goodwood Member Meeting”. The three new Ingenieurs, altogether limited to 1574 pieces in total, are equipped with IWC’s new in-house developed chronograph movement, calibre 69370. Since the brand is building a new manufacturing facility in their hometown Schaffhausen, the production of the new chronograph movements is not yet up to speed, so delivering this first in a limited edition (or actually three limited editions) seems to be a clever idea. Since we have not had a model for a long-time review, we cannot say much about how the movement operates over time, however according to Thomas Gäumann, head of in-house movement development, the new movement will set new standards regarding quality, ruggedness and reliability. 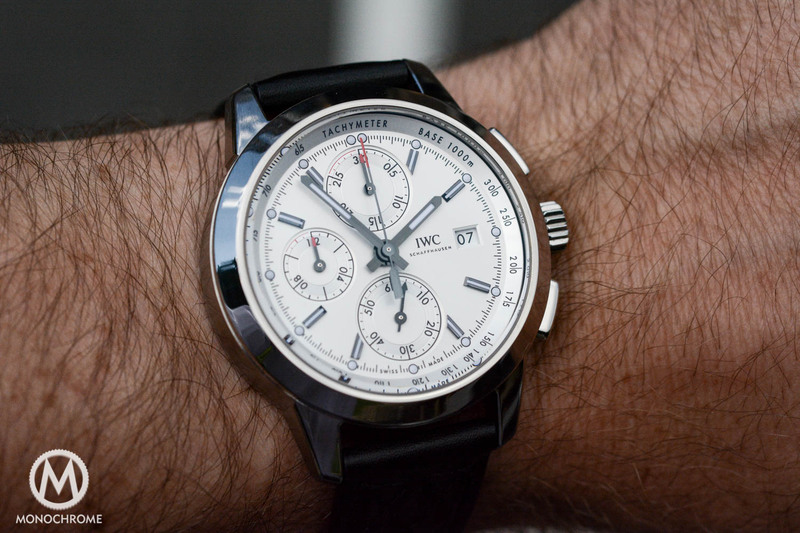 We’re curious to find out more, however for now I can say that the ‘action’ when pushing the chrono pushers was pleasant and a step forward compared to the reworked Valjoux 7750 that IWC used in many chronographs before, and that, over time, will be replaced by this new chronograph movement. When looking at the specifications it stands out that calibre 69370 is a rather big movement, measuring 30 x 7.9 mm, it runs at a frequency of 4Hz (28,800 vph), comprises 200 components, of which 33 jewels to let pins turn smoothly, and is nicely finished. 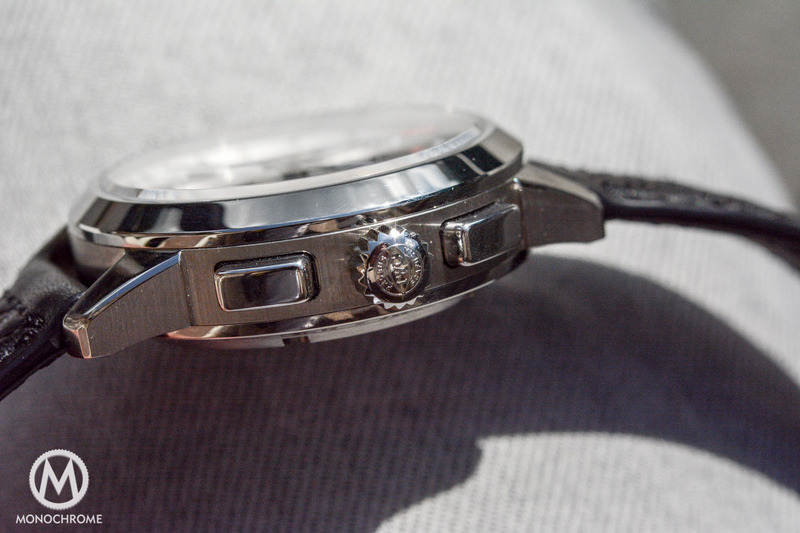 Do not expect ultra high-end hand-finishing, however the finishing is certainly a few notches above the Valjoux 7750. The smooth click, when pressing the chronograph buttons, is a result of the choice for a column wheel for actuating the chronograph’s functions (start/stop/reset). The winding is the IWC bi-directional pawl-winding system, which needs altogether 1,123 revolutions of the rotor to wind up the main spring completely. This delivers a mere 46 hours of power reserve, which is rather mediocre compared to modern rivalling chronograph movements. 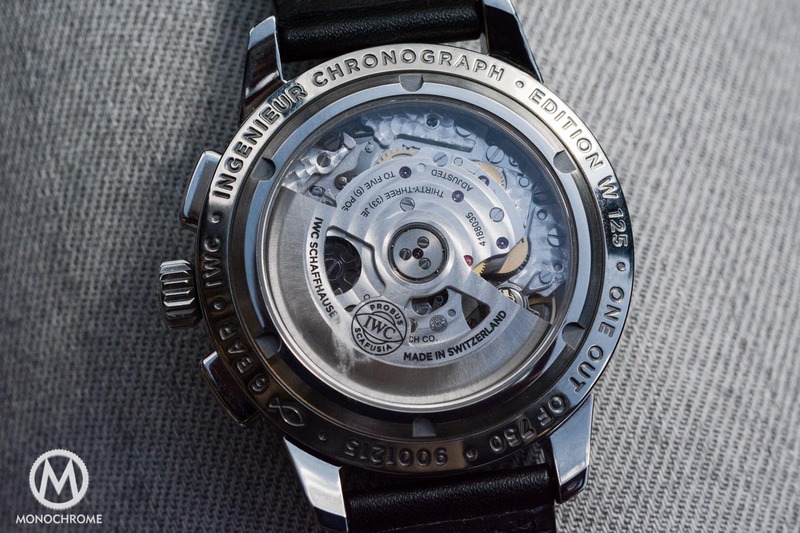 While the new calibre has a similar sub dial layout as for instance the industry-standard ETA/Valjoux 7750, the functions of the sub dials are different. On the ETA/Valjoux 7750 the small running second hand is at the 9 o’clock position, the 30-minute counter at 12 and the 12-hour counter is positioned at 6 o’clock. On the new the running seconds are positioned at 6 o’clock, the 30-minute register is at 12 o’clock (same as on ETA/Valjoux 7750) and the 12-hour counter is at 9 o’clock. 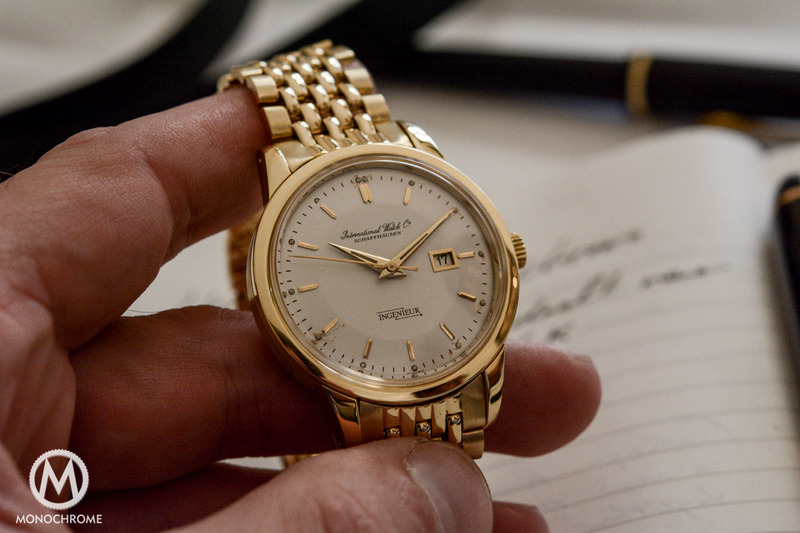 Like the ETA/Valjoux 7750 it features a date function and although this particular calibre does not feature a day function (the ETA/Valjoux 7750 does), I can imagine that this movement can be equipped with a day function as well (it might just get a different calibre number). The thing that really intrigues me is the small running seconds at 6 o’clock. 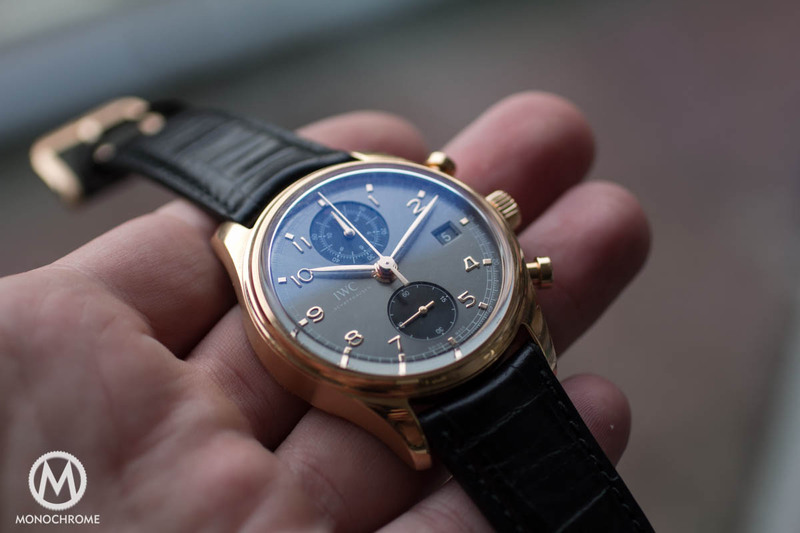 Just take a look at IWC most iconic chronograph, the Portuguese Chronograph, and imagine how the new movement could be used for a new edition of the Portuguese Chronograph and only the 12-hour counter at 9 o’clock would have to be eliminated. 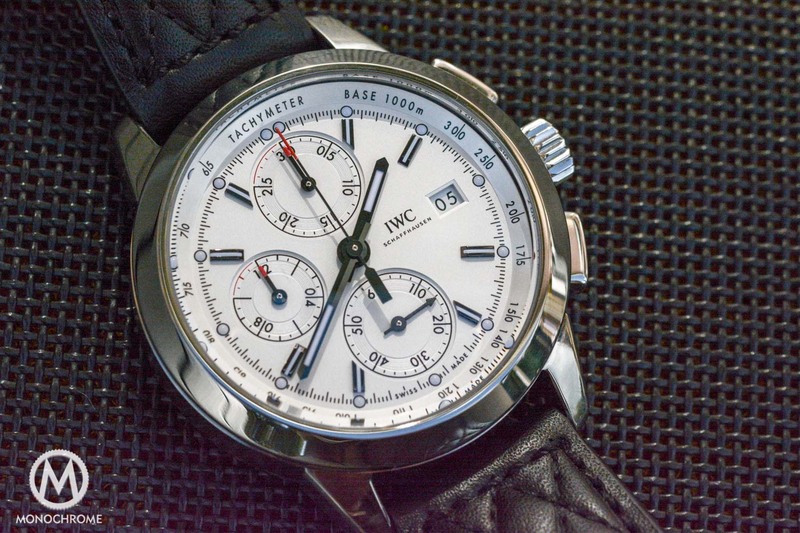 IWC has not verified my speculation, however I think it’s a realistic idea, since the brand is moving towards a full in-house collection, and the current Portuguese Chronograps is still based on the ETA/Valjoux 7750 with some modifications that are done by IWC. Having this watch with an in-house movement is certainly high on the agenda, however for the time being the new manufacture is not finished yet, so it’ll have to wait until production of the calibre 69000 family of movements is in full swing. The case is a classic three-part case, with a mid-case and a screwed case back with a sapphire inset and an inclined bezel on the front. 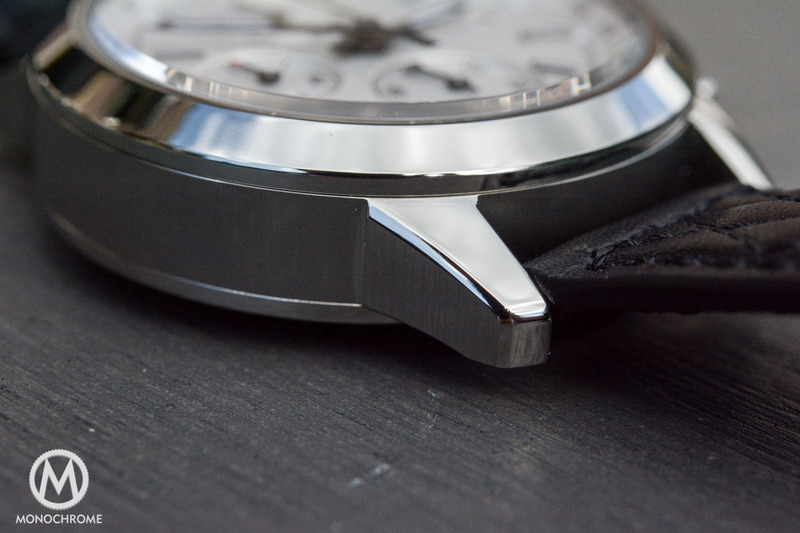 Both bezel and case back are polished, while the mid-case features a brushed finish. The lugs feature a similar brushed finish on the sides, while up and down facing parts of the lugs are fully polished. Altogether a nice finishing, however it’s far less refined then the Ingenieur Automatic and its compagnons with steel bracelets that feature a much more complex finishing on case and bracelet. 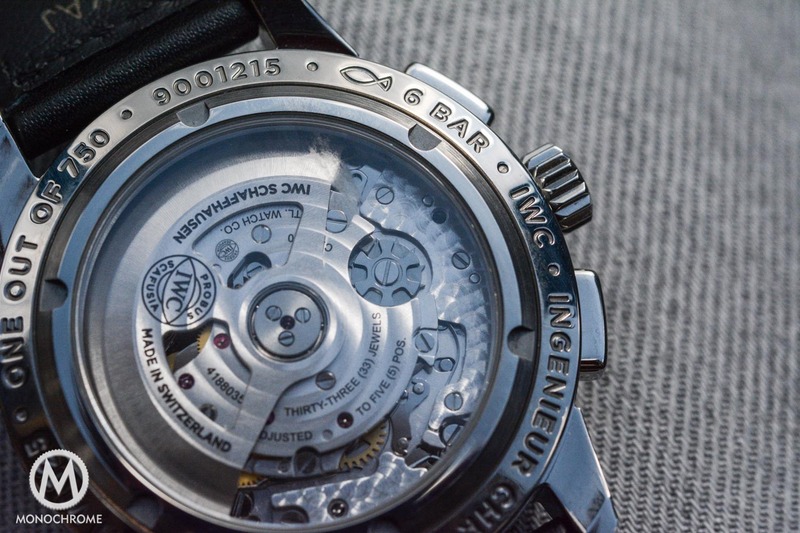 IWC used three materials for the case of the three different models. 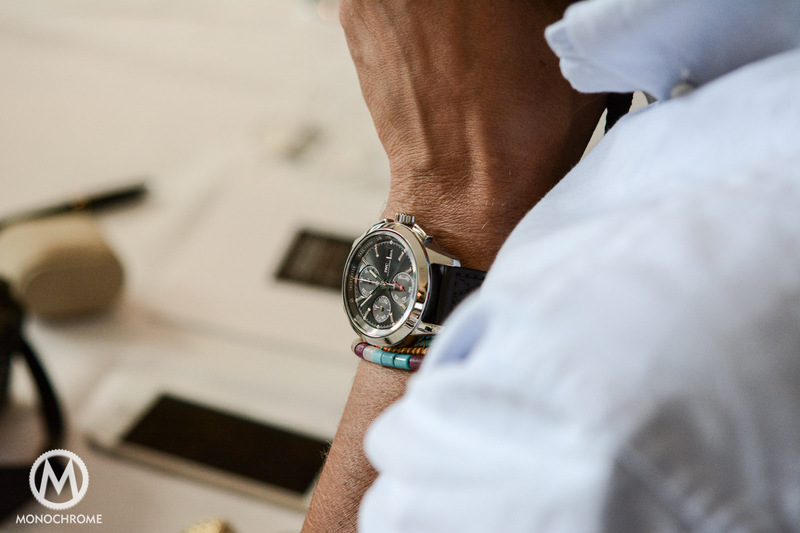 The white/silver dial Edition W 125 comes in a titanium case, the Edition “Rudolf Caracciola” comes in a stainless steel case, and the 18k red gold version is dedicated to the 74th Goodwood Members Meeting. The titanium version is a tad lighter than the steel version, and this is again a bit lighter than the red gold version. While weraing it briefly during the photo shoot I didn’t notice a huge difference in weight between the different case materials. 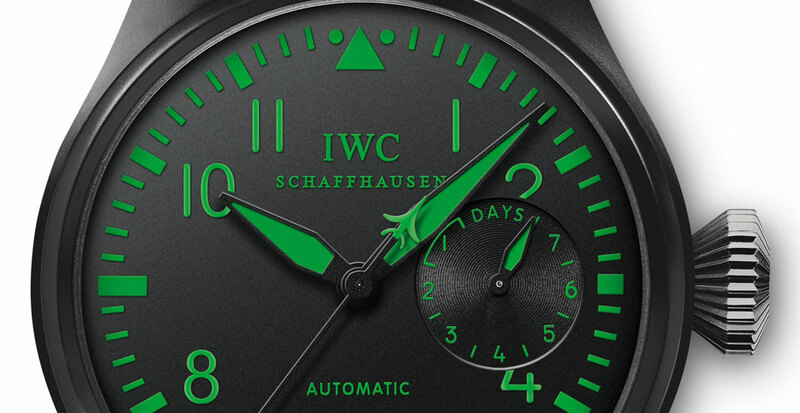 The crown features the IWC logo surrounded by the words “Probus Scafusia”. This is Latin for “good craftsmanship from Schaffhausen”. 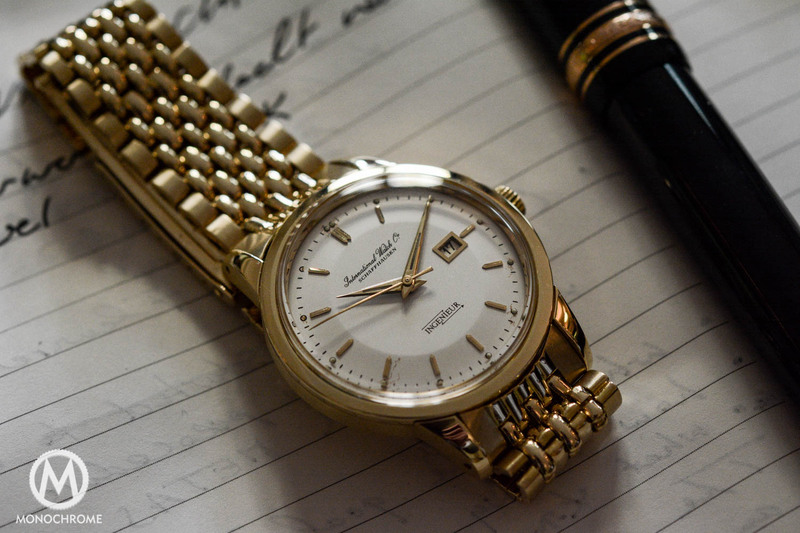 The square pushers resonate well with the vintage inspired style of the entire watch, and they look more bold than for instance round pushers. 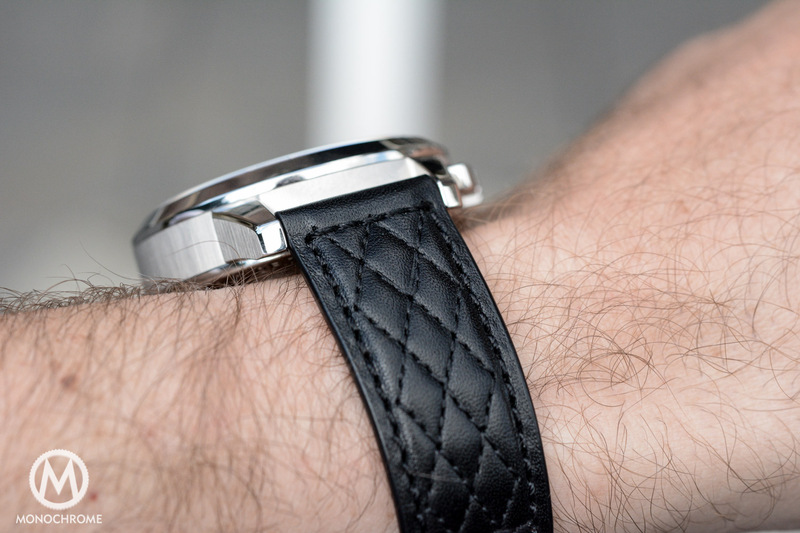 Same goes for that eye-catching calf leather strap. The stitching recalls the seats of vintage sports cars, however modern luxury cars also often feature diamond stitched leather seats. The link to sports cars is quickly made and really sticks in your mind. I have to say that, while the entire watch might be somewhat ‘random’, the strap certainly adds a lot of character to the new Ingenieur Chronograph Vintage Editions. 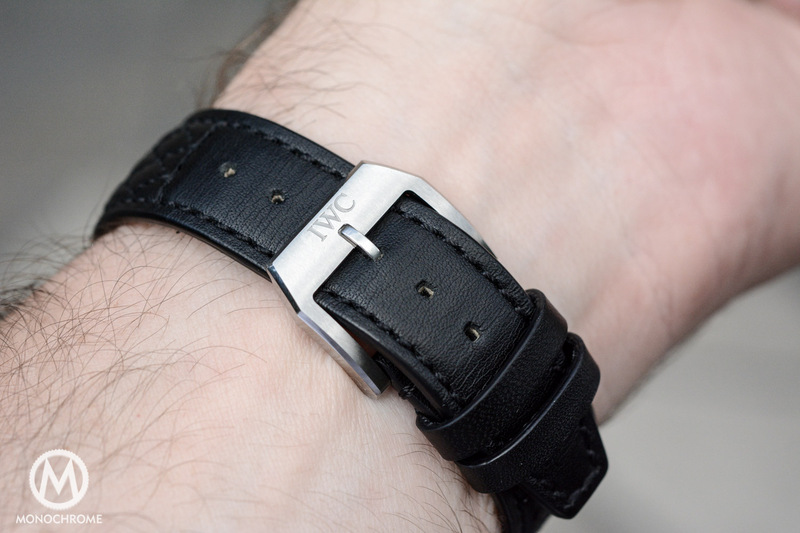 The calf leather strap (black or brown) is closed by a tang buckle, in the same material as the case, and with the brand’s name engraved into it. Three different dials, or at least three different colours and three different finishings. The layout, text and scale on the three dials are all the same, so we’ll focus on that. The brand name and city of origin are printed at the 3 o’clock position, just next to the square date aperture, and at the 6, 9 and 12 o’clock positions are three sub counters. At 6 o’clock the small running seconds, at 9 o’clock the 12-hour register and at 12 o’clock the 30-minute register. While the dial itself is flat, the sub counters are all a bit recessed and they come with a circular ribbed pattern. The two counters – the 30-minute and 12-hour registers – feature a bit of red in the last sector, and this red also comes back on the tip of the hands of both counters. The small running seconds counter on the other hand features a tiny arrow at the tip, and is without any red. All counters come with similar markers in numbers, with a large painted stick marker, and smaller stick markers dividing each sector into 4 or 5 smaller chunks. The style is a bit reminiscent of the sectors dials of yesteryear and that seems to be a trend in past few years as we see this more often. Surrounding the dial are applied hour markers, filled with a stripe of luminescent material and an additional luminescent dot that reminds of the vintage Ingenieur ref. 666. Also surrounding the dial, and in between the luminescent dots, are minute markers and even smaller markers dividing the minutes into five parts. Circumfencing the dial is an inclined rim with a tachymeter scale, and this is the type of scale that lets you measure the speed of your car over a specific distance. Here the specific distance is 1,000 meters or 1 kilometer. When you’re driving on the high-way, you can measure the speed of your car by starting a time measurement once you pass a point and stop the chronograph exactly 1,000 meter further. In Europe, main land Europe that is because Great Britain uses miles, it’s easy with the 100 meter and 1 km indicators besides the road. 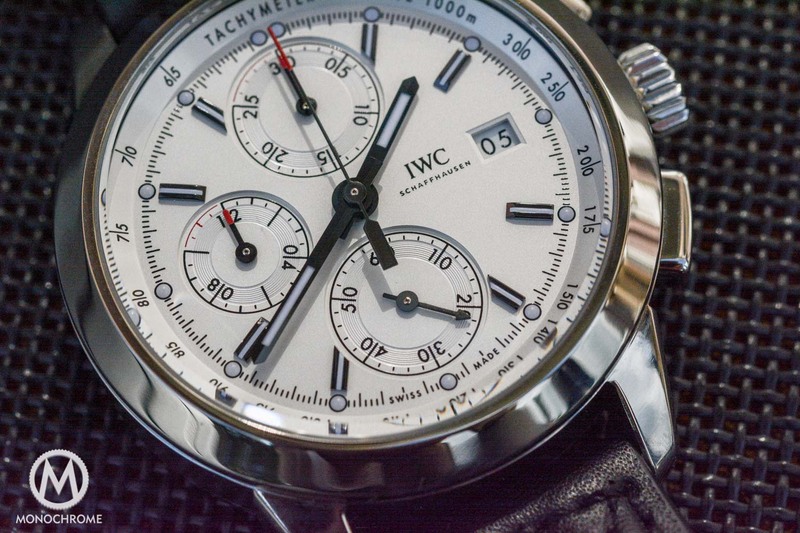 For GB, Australia, the USA and other countries using miles, you might want to ask IWC to make one with miles. Or look at the odometer. After some 1,600 words we finally come down to what’s most important. 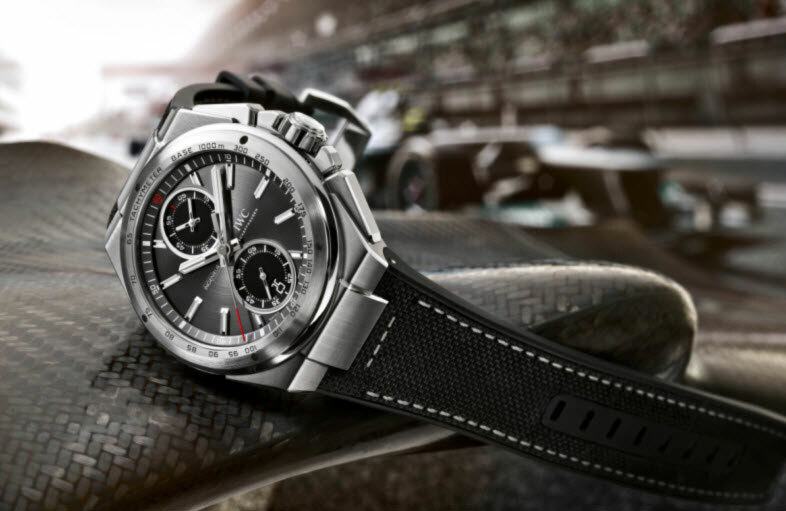 How are the new IWC Ingenieur Chronograph Vintage Editions on the wrist? Well, quite comfortable, and the watch looks good. 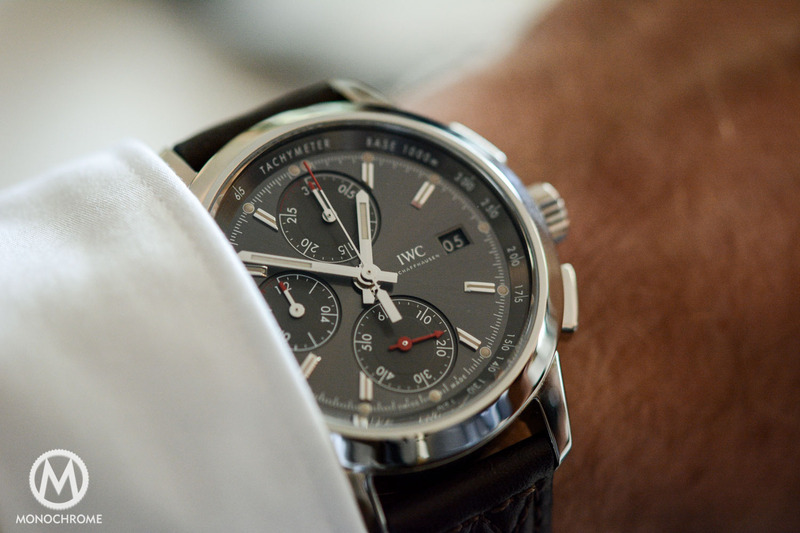 People who know the brand well, probably agree with me that IWC always manages to have a strong and masculine style and their watches (pretty much all of them) really look good on the wrist, and so do the new Ingenieur Chronograph Vintage Editions. 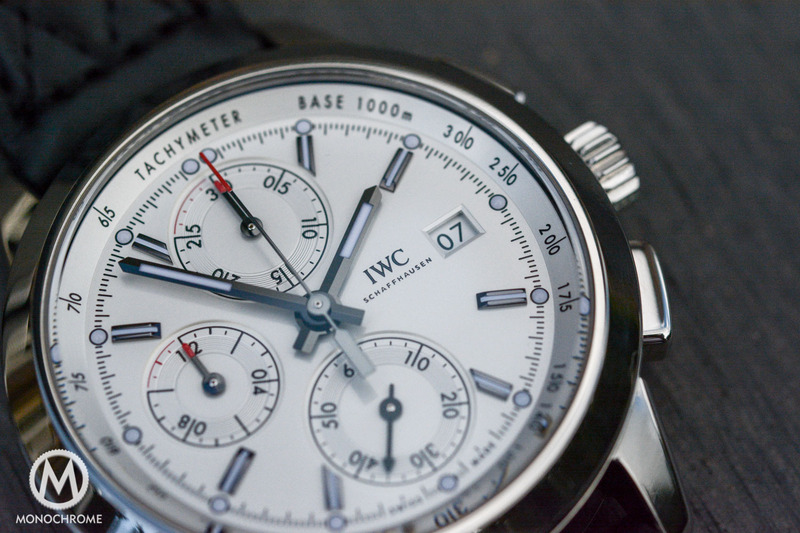 Many IWC collectors often praise the brand for the understated style; not catching too much attention. 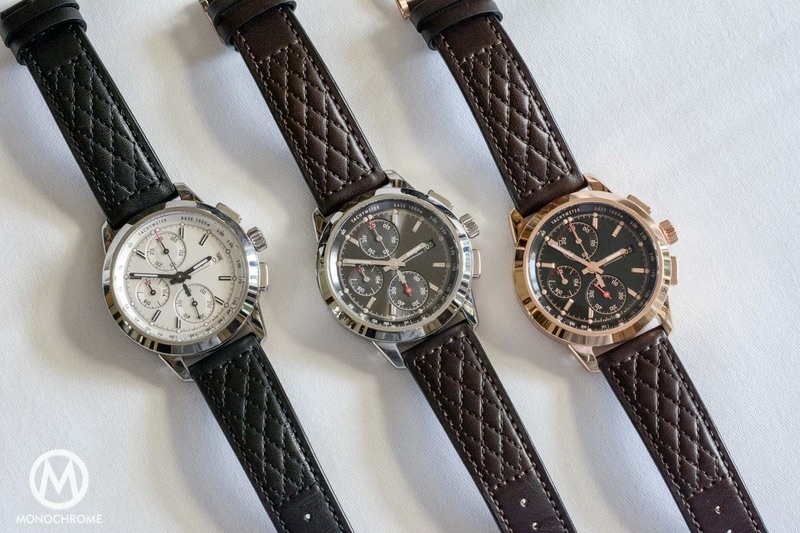 In recent years this quality might not have been the brand’s most important intention, however with the introduction of these three Ingenieur Vintage Editions, it looks like this quality is on the map again and I’m sure that collectors will appreciate this quality all over again. 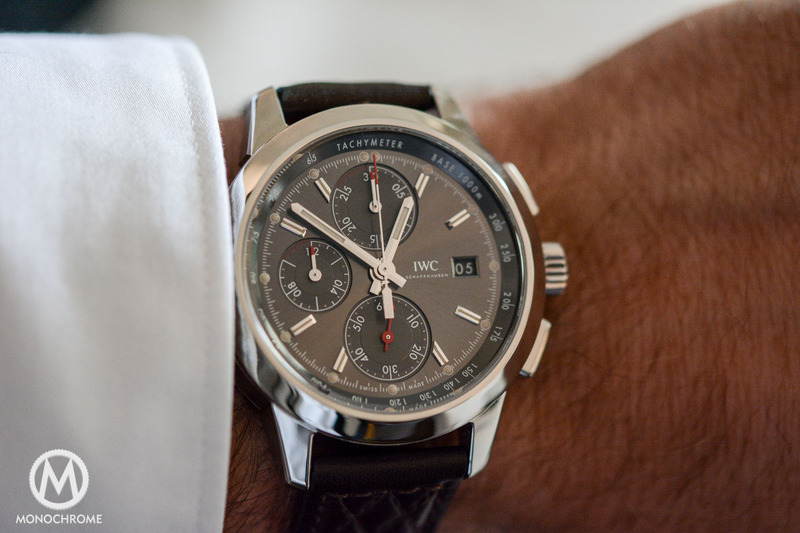 I have to say that not every new model that IWC introduced in recent years was nicely balanced on the wrist. I love the looks of the Big Pilot, gosh I really do, but it’s not balanced on my wrist and therefore does not wear very comfortable. Several IWC models of the past decade featured a rather thick, and protruding, case back and that causes the ‘un-balance’ on my wrist. 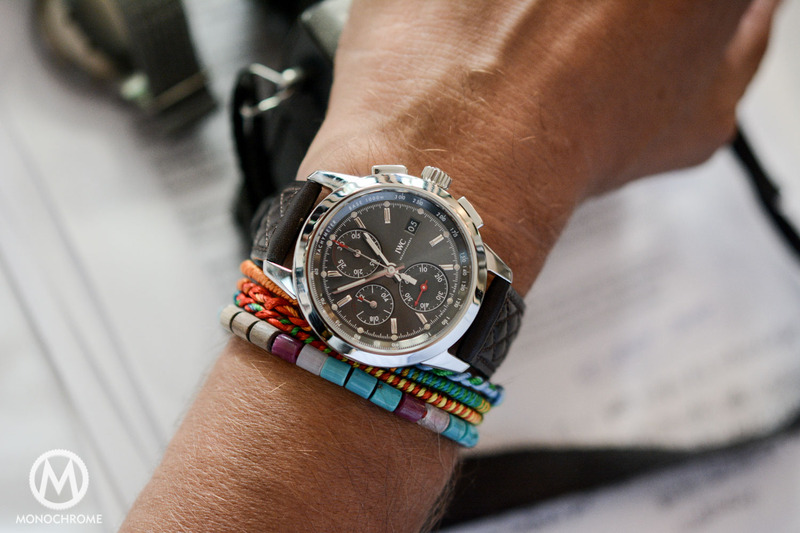 Good news: the new Ingenieur Chronograph is comfortable on the wrist! IWC was clear about this launch. 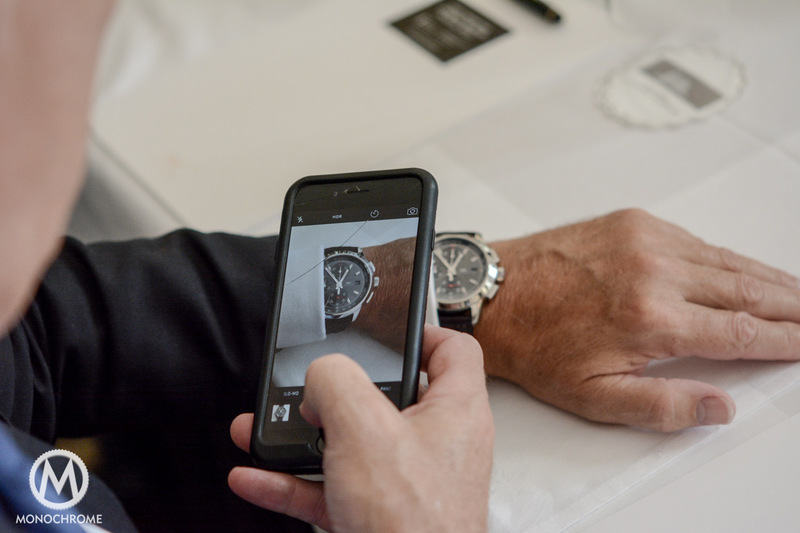 It’s an important launch for the brand, because of the new calibre, and the new style for the Ingenieur. While the watch itself might not have an immediate wow factor (the strap certainly does catch attention) it does bring back one of the core values of the Schaffhausen based brand (understated) and I think they are moving in the right direction. This combined with a new in-house chronograph movement, that is meant to become the brand’s ‘workhorse’ and replacement for the ETA/Valjoux 7750 movements, makes a strong proposal for existing and future IWC collectors. Limitation: both the stainless steel Edition “Rudolf Caracciola” and the titanium Edition “W 125” are limited to 750 pieces each, and the 18k red gold Edition “74th Goodwood Member Meeting” is limited to only 74 pieces. thanks for sharing these new chronos. 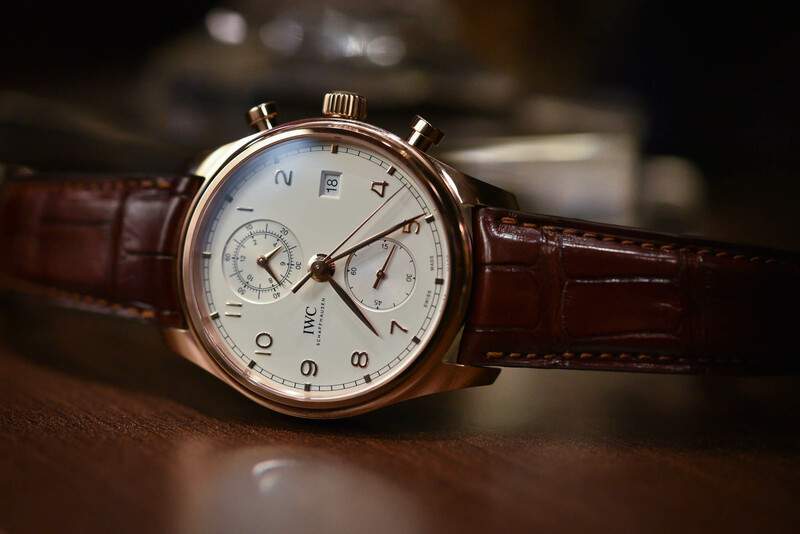 My understanding is that as of today many brands are getting back to vintage design, and IWC is no exception. 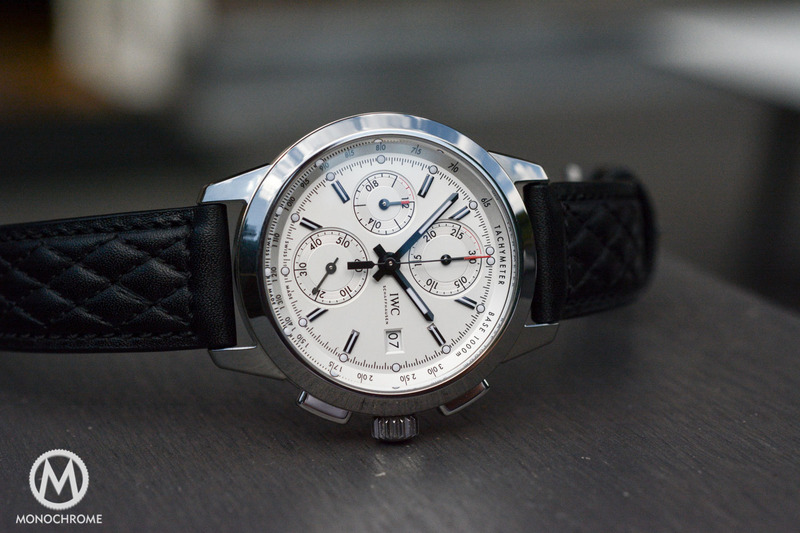 However at least to me nothing can beat the “Genta’s” Ingenieur style – which adds personality to the watch. These new pieces are beautiful indeed, but lack of personality (of course, matter of taste).